Apple Card Announced: A "New Kind Of Credit Card"
As had been rumored, Apple has unveiled its own branded credit card at today’s event. The Apple Card is offered in partnership with Goldman Sachs and MasterCard, and as usual, Apple’s latest offerings are among Silicon Valley’s worst-kept secrets. We should point out first that the Apple Card is different from the financing the company offers with Barclaycard. 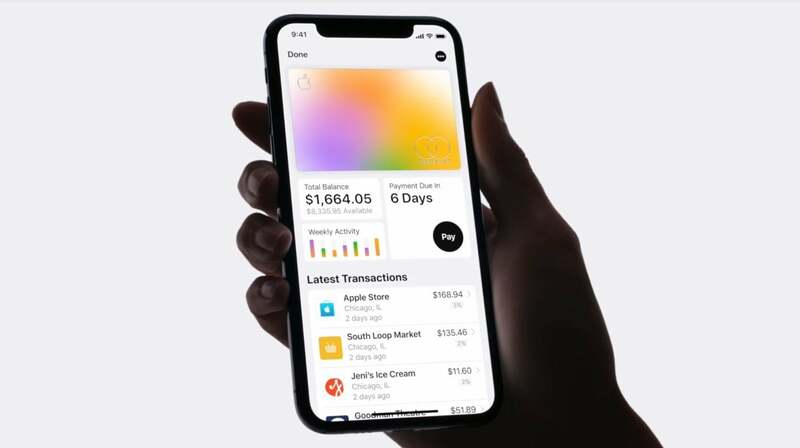 In the announcement on its website, Apple describes its new credit card as “an innovative, new kind of credit card… designed to help customers lead a healthier financial life.” The Apple Card is offered inside the Wallet app on iOS devices, so its functionality should seem very familiar to those who already use Apple Pay. “Apple Card transforms the entire credit card experience by simplifying the application process, eliminating fees, encouraging customers to pay less interest and providing a new level of privacy and security,” the company said in a press release. The Apple-branded credit card will be available in the U.S. starting this summer. When it becomes available, customers will be able to sign up for the card via their iPhone‘s Wallet app. The card becomes effective immediately and can be used via Apple Pay in stores, apps or online. Customer service is accessible via text around the clock using Messages. The credit card charges no annual fees and even no fees for late or over-the-limit fees. Cross-border transactions also do not carry a fee. There is not even a penalty charged for missed payments. Although the Apple Card is primarily designed to be used via Apple Pay, the company will also send users an actual titanium card to use at merchants which don’t accept Apple Pay yet. As all good credit cards do, the Apple Card also offers rewards and perks to cardmembers. The company describes it as “a clearer and more compelling rewards program than other credit cards.” Daily Cash is a form of cashback reward which gives buyers a percentage of the money they spend back in their Apple Cash card every day. The money is added to users’ Apple Cash card every day and is available for use as soon as it’s applied. The cash can be used to pay part of the Apple Card balance or to send to people via Messages. Shoppers receive 2% back on purchases made using the card with Apple Pay or 3% cash back on all items purchased from Apple directly, including via physical Apple Stores, the App Store, or services. Purchases made using the physical titanium card earn a mere 1% cashback reward. In addition to cashback rewards, the credit card also provides real-time transaction and balance views in the Wallet App. The Apple Card also uses machine learning, a term that’s become a serious buzzword when it comes to marketing hype. All transactions are labeled by location and merchant via Apple Maps. Users can also categorize each transaction using color coding.